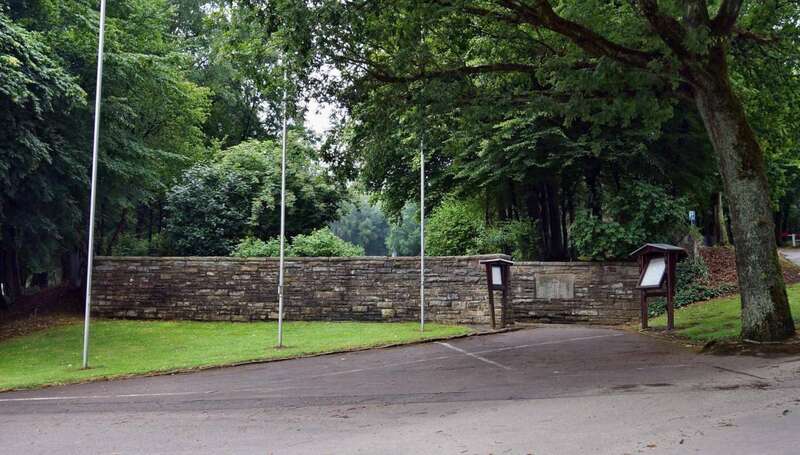 In the summer of the year 1950, the Volksbund Deutsche Kriegsgräberfürsorge started construction of the 'Cemetery of Honour Hürtgen' with completion accomplished in the year 1952. 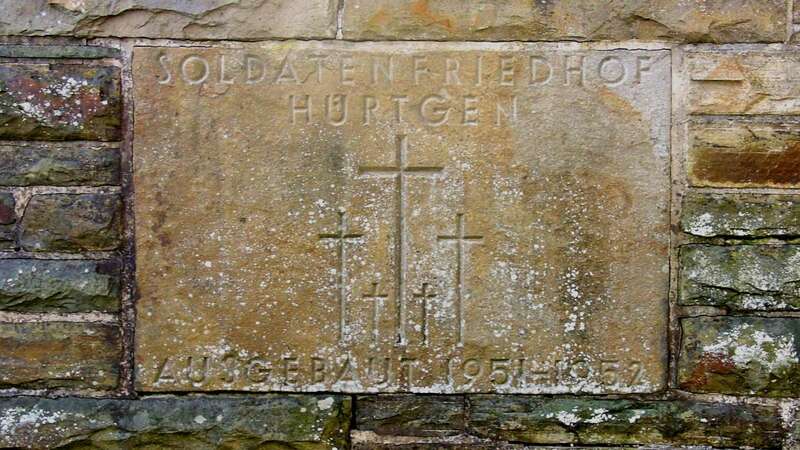 Men and women from the devastated areas around the Hürtgen high plateau labored hard and courageously to bury the dead in a provisional grave. Although mine sweeping teams had combed the area, the entire area was still littered with dangerous ammunition of all kinds. These were a constant threat to the lives of the work teams. 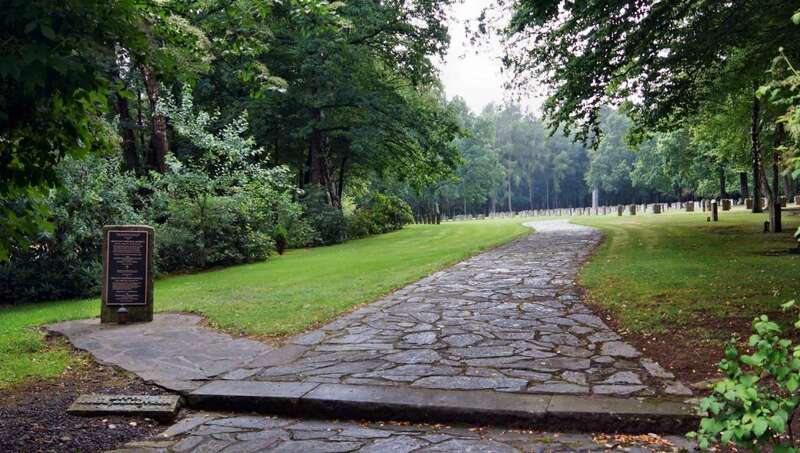 Double granite crosses were placed along the curved grave rows to mark the graves. The placement of the crosses seems to suggest that these comrades are reaching out to each other, arm to arm in their final moment of death. 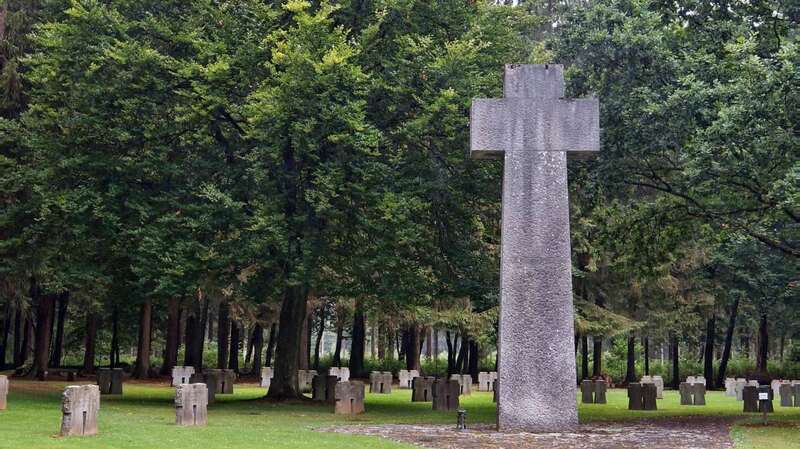 People in the surrounding villages call it “Kameradenkreuze” (Companion crosses). 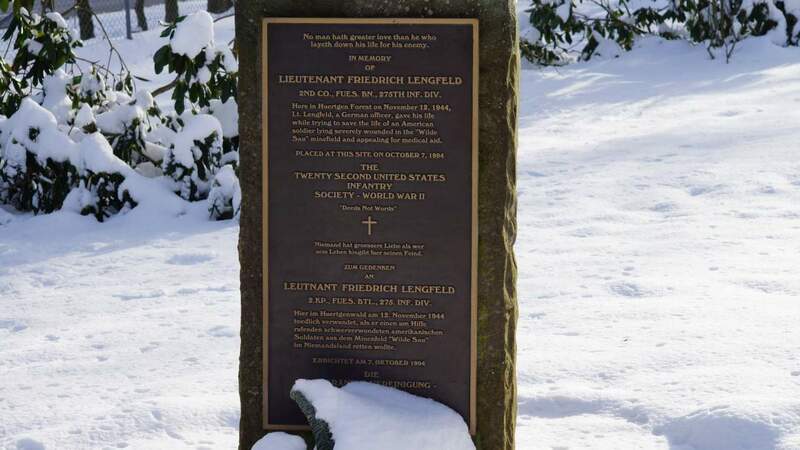 When the identification of the body had been made, the soldier's name was engraved on the cross. 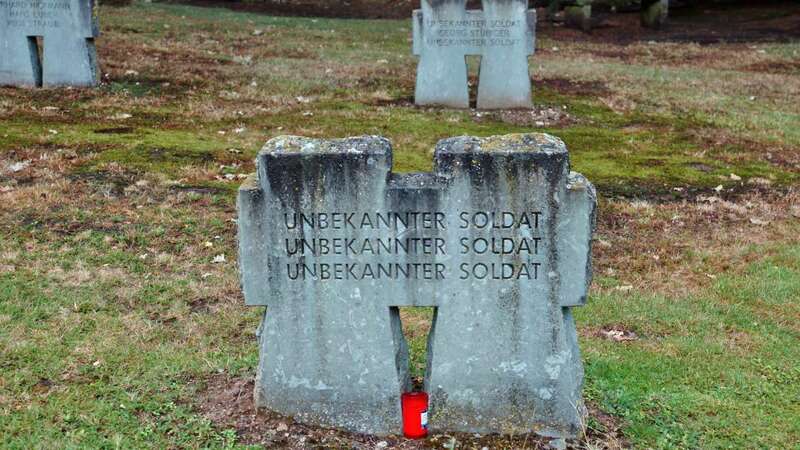 In the case of the bodies of prisoners or for bodies that had not yet been identified, the tragic word, 'Unbekannt' (unknown) was engraved. The rows of crosses are in a line to point to one central cross -- the High Cross. 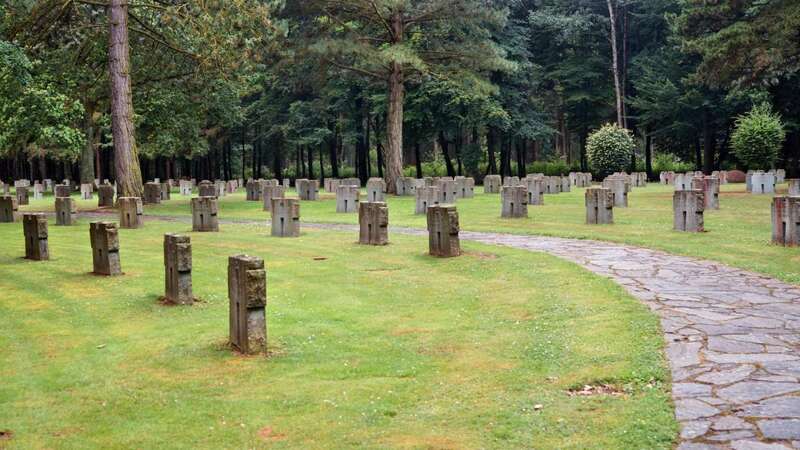 In the Cemetery of Honour Hürtgen, there rests 2,997 German Dead. At first 1,000 could not imediatiatly be indentified. A comparison of documents of the armed forces grave officers, along with the evaluation of body characteristics and with the statements of comrades, a further 217 of the dead were identified. 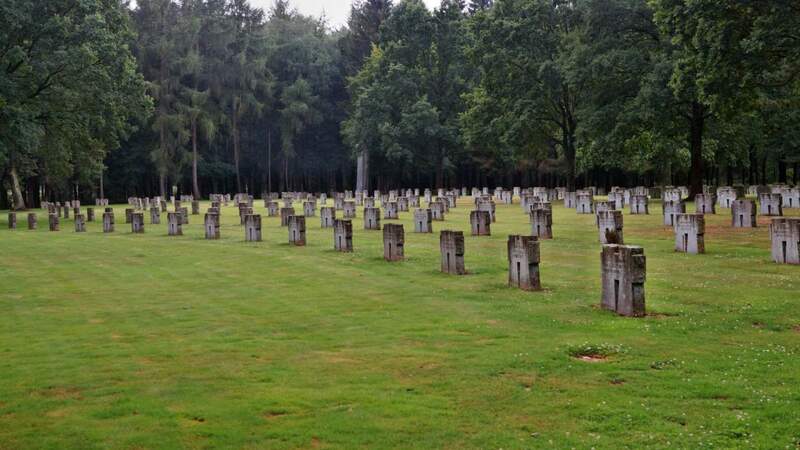 The number of unidentified bodies in this cemetery at present stands at 524. 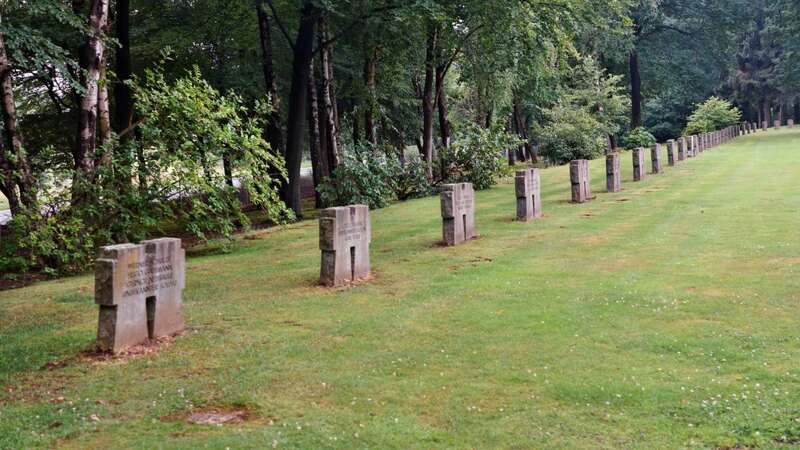 The Volksbund Deutsche Kriegsgräberfürsorge continues with its efforts identify these unknown soldiers, but as time passes, the chances for identification become slimmer so it is feared that a large percentage of these will remain forever unknown.